Posted By:Unknown | At:7:54 PM Be the first to comment! 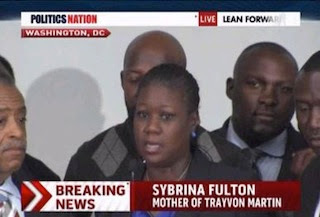 After the announcement of George Zimmerman being charged with 2nd degree murder, Sybrina Fulton, the mother of Trayvon Martin, thanked everyone. She begna by telling people how all she wanted was an arrest.